In 1970, Jeannine and Matt Herron, with their children, Matthew (age 13) and Melissa (age 11) sailed their thirty-foot sloop from New Orleans to West Africa. For a year and a half, the Herrons visited countries from Mauritania to Ghana, including a 300-mile inland trip up the Gambia River. It was an experiment in alternative education for the children who read more than 100 books, learned to type, studied French, math, marine biology and navigation, while absorbing geography and African culture. 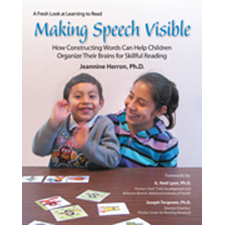 Matthew and Melissa were encouraged to keep a journal of their thoughts and experiences, which underscored Jeannine’s view of writing as a powerful educational tool. 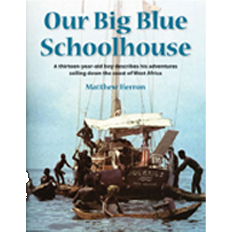 Our Big Blue Schoolhouse is Matthew’s journal of their trip down the coast of West Africa, with photos by Matt Herron, Sr., award-winning photojournalist. In order to help schools integrate the Talking Fingers family of products into their curriculum, we have correlated both our software programs with the Language Arts standards of each of the 50 states.